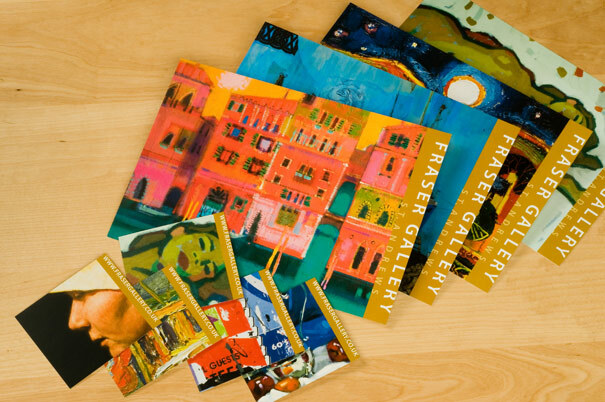 The corporate identity and marketing programme for Fraser Gallery, St Andrews, earned a top three place in the Best Design Innovation category of the 2009 Creativefife Creative Industries Awards. 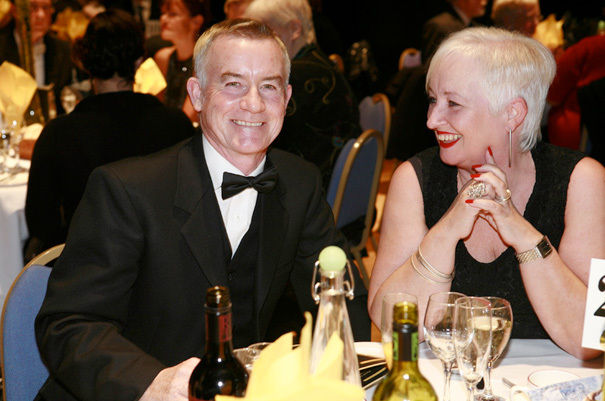 At the Awards Ceremony, the judges admitted that “the standard of entry was high and it was very tough to decide on the finalists”. 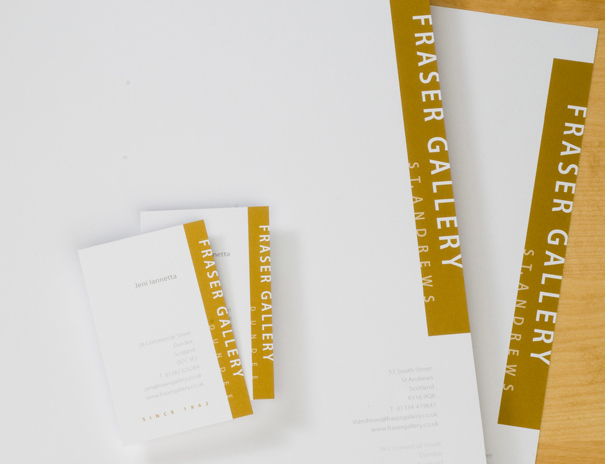 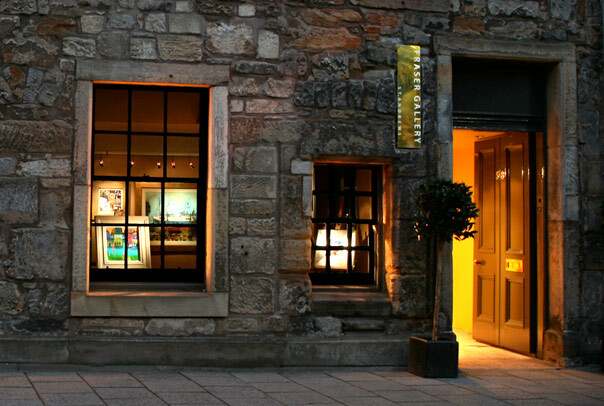 Established in 1862, Fraser Gallery opened its doors in its prestigious, new premises in South Street, St Andrews in May 2008 with the new identity, signage, stationery and marketing material that included their website (by TheWeather), branded postcards and web cards. 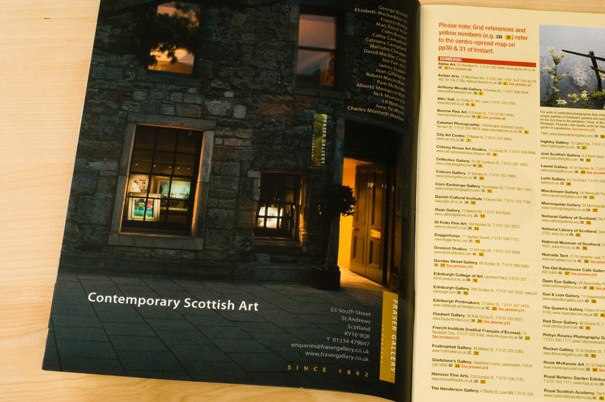 Each new exhibition has been promoted through invitations, leaflets, A-frame posters, and press and art magazine advertising. 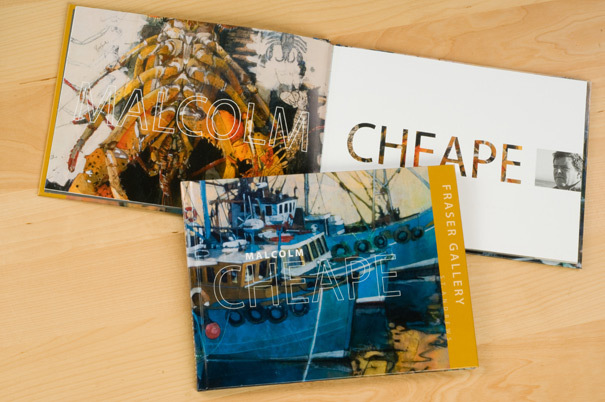 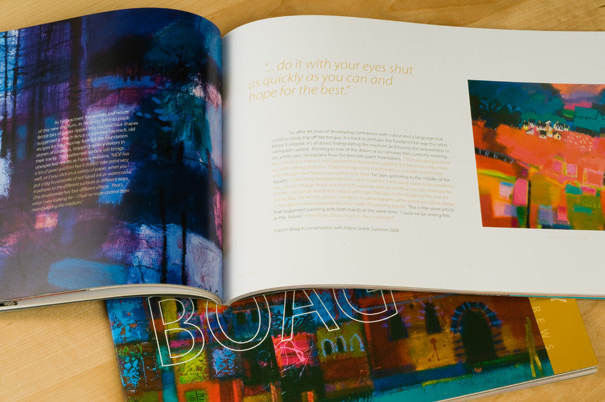 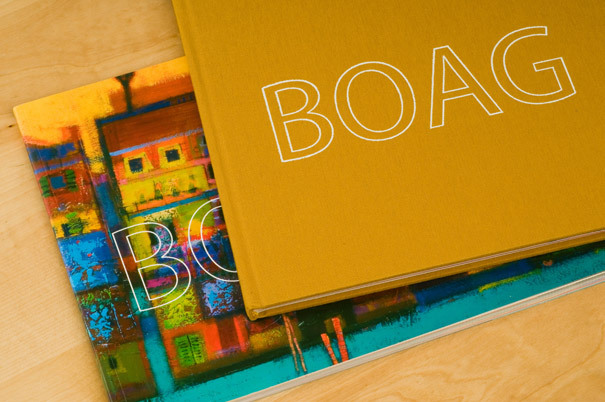 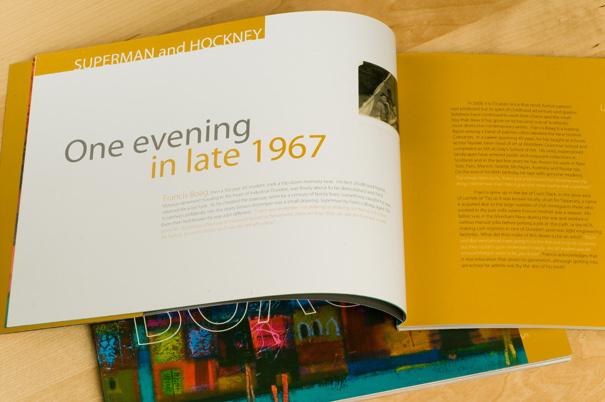 Most significantly, though, instead of producing the mandatory brochure, Fraser Gallery has produced hardback books to accompany each exhibition. 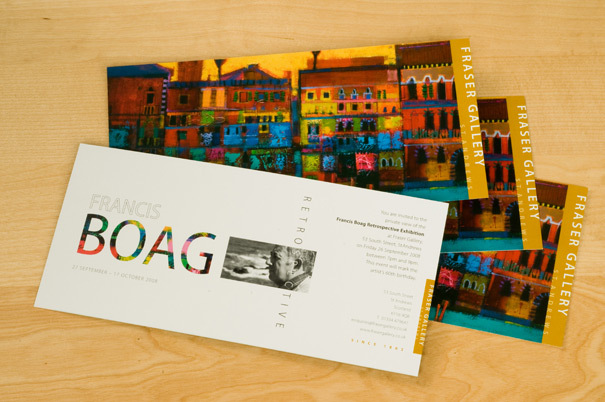 The first of the series was produced for Francis Boag’s Looking Back exhibition, celebrating the artist’s 60th birthday. 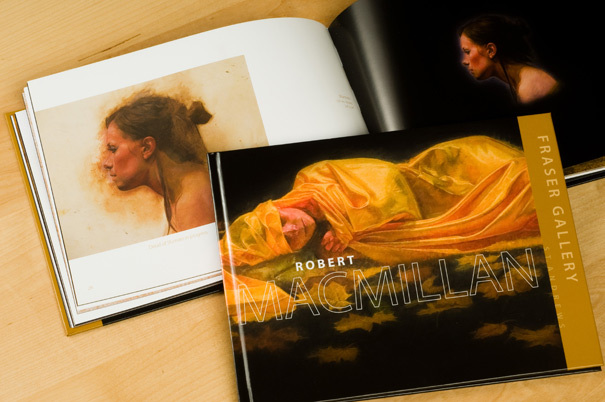 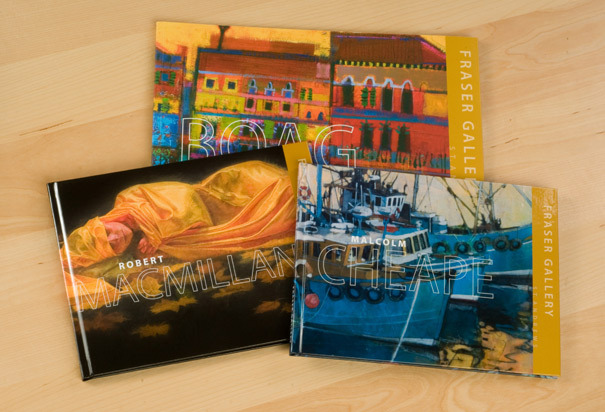 Subsequent publications have been produced for fellow Scottish artists, Malcolm Cheape and Robert MacMillan.